Human language is a mystery. In a society where information is so valuable, why do we talk to others without expecting anything in return? Even more intriguing than this are the processes determining communication, whether that be a profound debate or a spontaneous conversation with an acquaintance. These are the questions driving Jean-Louis Dessalles’ current project, a researcher in computing at Télécom ParisTech. His work has led him to reconsider the perspective on information adopted by Claude Shannon, a pioneer in the field. He has devised original theories and conversational models which explain trivial discussions just as well as heated debates. Why do we talk? And what do we talk about? Fueled with the optimism of a young researcher, Jean-Louis Dessalles hoped to find the answer to these two questions in just a few months after finishing his thesis in 1993. Nearly 24 years have now passed, and the subject of his research has not changed. From his office in the Computing and Networks department at Télécom ParisTech, he continues to have an interest in Language. His work breaks away from the classic approach adopted by researchers in information science and communication. “The discipline mainly focuses on ways we can convey messages, but not about what is conveyed or why”, he explains, contradicting the approach to communication described by Claude Shannon in 1948. The reasons for communication, along with the underlying motives for these information exchanges, are however very legitimate and complex questions. As the researcher explains in the film “Le Grand Roman de l’Homme”, which came out in 2014, communication is contradictory of various behavioral theories. Game theory for example, sometimes used in economy to describe and analyze behavioral mechanisms, struggles to justify the role of communication between humans. According to this theory, and by attaching value to all information, expected communication situations would consist in each participant providing the minimum information possible, whilst trying to glean the maximum from the other person. However this logic is not followed by humans in everyday discussions. “We need to consider the role of communication in a social context” deduces Jean-Louis Dessalles. By dissecting the scientific elements in communication situations (i.e. interviews, attitudes in online forums, discussions, etc.) he has tried to find an explanation for people offering up useful information. The hypothesis he is putting forward today is compatible with all observable communication types; for him, offering up quality information is not motivated by economic gain, as game theory assumes, but rather by a gain in social reputation. “In technical online forums for example, experts don’t respond out of altruism, or for monetary gain. They are competing to give the most complete response in order to assert their status as an expert. In this way they gain social significance”, explains the researcher. Talking and showing our ability to stay informed is therefore synonymous with positioning ourselves in a social hierarchy. With the question of “why do we talk” cleared up, we still need to find out what it is we are talking about. Jean-Louis Dessalles isn’t interested in the subject of discussions per-say, but rather the general mechanisms dominating the act of communication. After having analyzed in detail tens of hours of recordings, he has come to the conclusion that a large part of spontaneous exchange is structured around the unexpected. The triggers of spontaneous conversation are often events that humans would consider unlikely or abnormal, in other words, when the normality of a situation is broken. For example, seeing a person over 2m tall, a series of cars of the same color all parked in a row or a lotto draw where all the numbers follow on from one another; these are all instances which are likely to provoke surprise in an individual, and encourage them to engage in spontaneous conversation with an interlocutor. In order to explain this engagement based on the unexpected, Jean-Louis Dessalles has developed Simplicity Theory. According to him, the unexpected corresponds above all else to things which are simple to describe. He says “simple” because it is always easy to describe an out-of-the-ordinary situation, simply by placing the focus on the unexpected thing. For example, describing a person that is 2m tall is easy because this criterion alone is enough to establish a narration point. In contrast, describing a person of normal height and weight with standard clothes and a face with no distinctive features in particular would require a more complex description to achieve a successful definition. Although simplicity may be a driver for spontaneous conversation, another significant discussion category also exists: that of argumentative conversation. In this case, the unexpected no longer applies. This kind of exchange follows a model defined by Jean-Louis Dessalles, called CAN (Conflict, Abduction, and Negation). “To start an argument, there has to be a conflict, opposing points of view. Abduction is the following stage, which consists in going back to the cause of the conflict in order to shift this and deploy arguments. Finally, negation allows the participants to progress to counterfactuals in order to reflect on solutions which would allow them to resolve the conflict.” Beyond that simple description, the CAN model could allow the development of artificial intelligence to progress (see text box). In the hours of conversation recorded by the researcher, the distribution of spontaneous discussions induced by unexpected elements and arguments was respectively 25% and 75%. He remarks however that the line separating the two is not necessarily strict, since spontaneous narration can lead to a more profound debate, which would dramatically change the basis of the CAN model. These results offer a response to the question “what do we talk about?” and solidify years of research. For Jean-Louis Dessalles, it’s proof that “it pays to be naïve”. His recklessness at the beginning eventually led him to theorize various models throughout his career, on which humans base their communication, and will probably continue to do so for a long time to come. 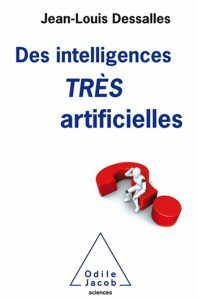 “Machines should be able to have a reasonable conversation in order to appear intelligent”, assures Jean-Louis Dessalle. For the researcher, the test invented by Alan Turing, consisting in claiming that a machine is intelligent if a human can’t tell the difference between it and another human when having a conversation, is completely legitimate. Because of this, his work has found a place in the development of artificial intelligence that is able to pass this test. It is therefore absolutely essential to understand human communication mechanisms in order to transfer these to machines. 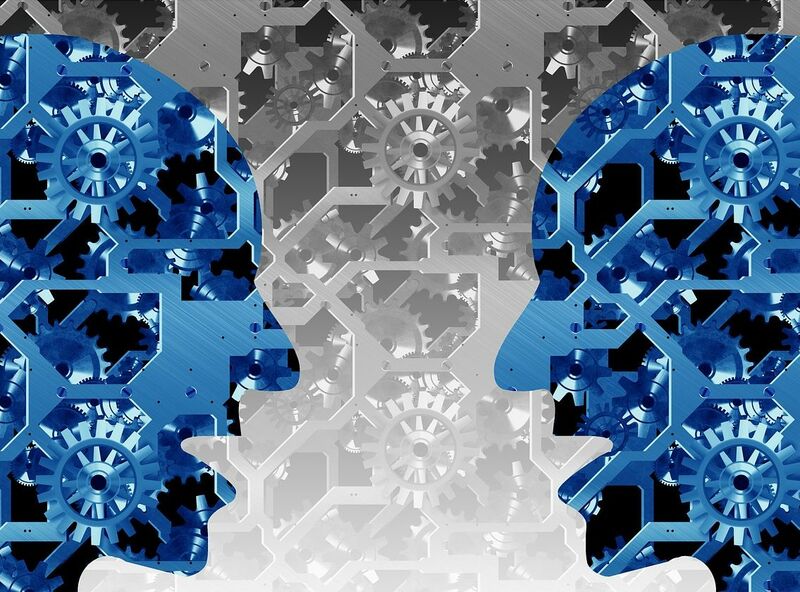 A machine integrating the CAN model would be more able to have a debate with a human. In the case of a GPS, it would allow the device to plan routes whilst incorporating factors other than simply time or distance. Discussing with a GPS what we expect from a journey – such as beautiful scenery for example – in a logical manner, would significantly extend the quality of the human machine interface. 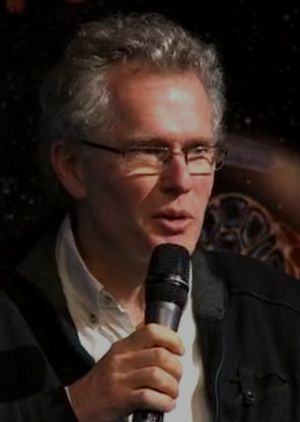 A Polytechnique and Télécom ParisTech graduate, Jean-Louis Dessalles became a researcher in computing after obtaining his PhD in 1993. It is therefore difficult to see the link to questions regarding human language and its origins, something normally reserved for linguists or ethnologists. “I chose to focus on a subject relevant to the resources I had available to me, which were computer sciences”, he argues. He then carried out research which contradicts the probabilistic approach of Claude Shannon, which is how he presented it to a conference at the Insitut Henri Poincaré in October 2016 for the centenary of the father of information theory. His reflections on information have been the subject of a book, “Le fil de la vie”, published by Odile Jacob in 2016. He is also the author of several books about the question of language emergence.